Real Deal Retirement » Blog Archive » Should I Invest $1 Million Of My Retirement Savings In An Annuity? 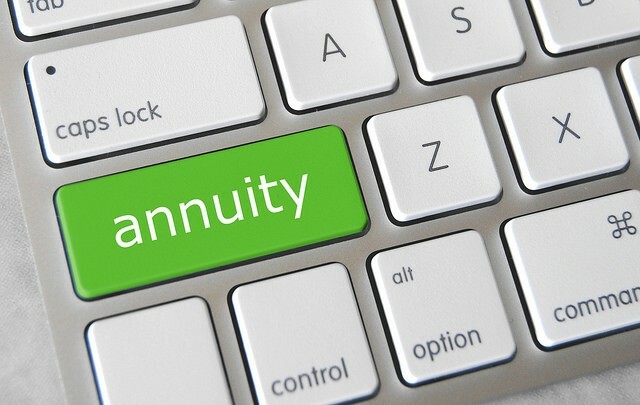 Should I Invest $1 Million Of My Retirement Savings In An Annuity? I’m 59 years old and plan on retiring within the next year. My adviser is recommending that I invest $1 million, about 25% of my nest egg, in annuities to generate retirement income. That percentage seems high to me. Is there a rule of thumb about how big a role annuities should play in one’s retirement strategy? I’m not aware of any rule of thumb for what percentage of savings one should devote to an annuity, although over the years I have seem some people suggest figures of 25% to 50% (and sometimes much more). But even if there were a generally accepted guideline, that doesn’t mean that you should follow it. The trouble with rules of thumb is that, while they can be somewhat useful in some cases, they’re almost never as effective as developing a strategy tailored to your particular financial circumstances and goals. So rather than trying to decide whether 25% of your savings is the right amount to put into an annuity, you need to think more broadly about coming up with a comprehensive plan to generate the retirement income you need from all the resources at your disposal. And while I believe certain types of annuities—i.e., immediate annuities and longevity annuities—can play a more effective role in providing retirement income than others, you need to understand annuities’ pros and cons before committing to one. 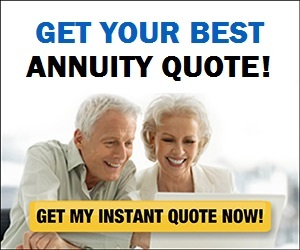 And you shouldn’t automatically assume that an annuity has to be a part of your plan. In order to create that comprehensive strategy the first thing you should do is get a good idea of how much income you’ll actually need once the paychecks stop. Here again, relying a rule of thumb—assuming you’ll require 70% or 80% of your pre-retirement income—isn’t the best way to go. You’ll get a much better idea of how much income you’ll need by creating a retirement budget, which you can do with any number of online budgeting tools. For example, BlackRock’s Retirement Expense Worksheet lists more than four dozen separate expenses in eight spending categories, ranging from essentials like household, medical and living expenses to discretionary items like travel, dining out and charitable donations. You’re never going to predict your actual spending with 100% accuracy; emergencies and unanticipated expenses will always pop up. But the idea is to get as realistic an estimate as you can of how much cash flow you’ll need to maintain the lifestyle you envision for your retirement. Which is why, as you’re going through the budgeting process, you might also want to do a little “lifestyle planning” to better ensure that your estimated expenses really reflect how you expect to live in this next chapter of your life. If there’s a large gap between your living expenses and what Social Security and any pensions will pay, however, then you may want to consider devoting a portion of your savings to an annuity that can generate lifetime income (although if your nest egg is large enough that you can easily bridge that gap with withdrawals from savings without undue risk of running through your savings too soon, then you may still want to forgo an annuity). But you’ve got a couple of wrinkles in your situation because of your age (59). The first is that if you retire within the next year as you plan, you’ll be too young to collect Social Security. The earliest you can qualify for your Social Security benefit is age 62, and you may very well want to wait until you’re even older to collect since the size of the payment you’ll receive increases by 7% to 8% for each year you delay between age 62 and 70. So in the years before you begin receiving Social Security, you’ll have to decide how much of your income you want from savings withdrawals and how much, if any, from an annuity. Even if you’ve decided an annuity is right for you, you’ll want to be careful not to overdo it. After all, at some point your Social Security payments will kick in, and you don’t want to end up with more guaranteed income than you really need (and, yes, too much guaranteed income can be a bad thing). One way to guard against that possibility is to convert savings to annuities in phases over a period of years rather than committing one sum all at once. Taking this approach will also prevent you from investing all your money when interest rates (and annuity payments) are at a low. Buying in gradually will also give you more time to get a feel for what your retirement expenses will actually be. Who knows, maybe you’ll find that you don’t require as much guaranteed income as you originally thought—or maybe you’ll want more. Buying in stages will give you some flexibility, which is especially important for someone relatively young like you, whose needs and plans could very well change over a very long time in retirement. And whether you buy in stages or not, be sure to diversify your money among the annuities of several highly-rated insurance companies, ideally keeping the amount you invest with any particular insurer within the coverage limits of your state’s insurance guaranty association. For an explanation of how the state guaranty system works plus details on the coverage limits in your state, you can go to the National Organization of Life & Health Insurance Guaranty Associations site. The second wrinkle in your situation also relates to your age. If you begin pulling money from tax-advantaged accounts like an IRA or 401(k) before reaching age 59 1/2, you may incur a 10% tax penalty for early withdrawals on top of the regular income tax due on those withdrawals. IRS Publication 590-B describes ways to get around that 10% penalty tax, including taking “substantially equal periodic payments” over your life (or your life expectancy) or over the joint lives (or joint life expectancies) of you and your beneficiary. But these rules can be a hassle to follow and are easy to run afoul of. So if you start withdrawing money from tax-advantaged accounts before you’re 59 1/2, whether from an annuity or not, you want to be absolutely sure you’re doing so in a way that avoids that 10% penalty tax. One way to sidestep this issue altogether is to rely on money in taxable accounts until you’re 59 1/2 or, in your case, perhaps even put off retirement until you reach that age. So my advice is to take the time to develop an overall retirement income strategy and have it in place before you retire. If the adviser you’re working with seems more interested in selling you an annuity as opposed to determining how much retirement income you’ll need and giving you different options for getting that income, then you maybe you ought to seek help from another adviser.